This multi-functional play corner will demand youngsters’ attention and encourage them to play, observe and learn. 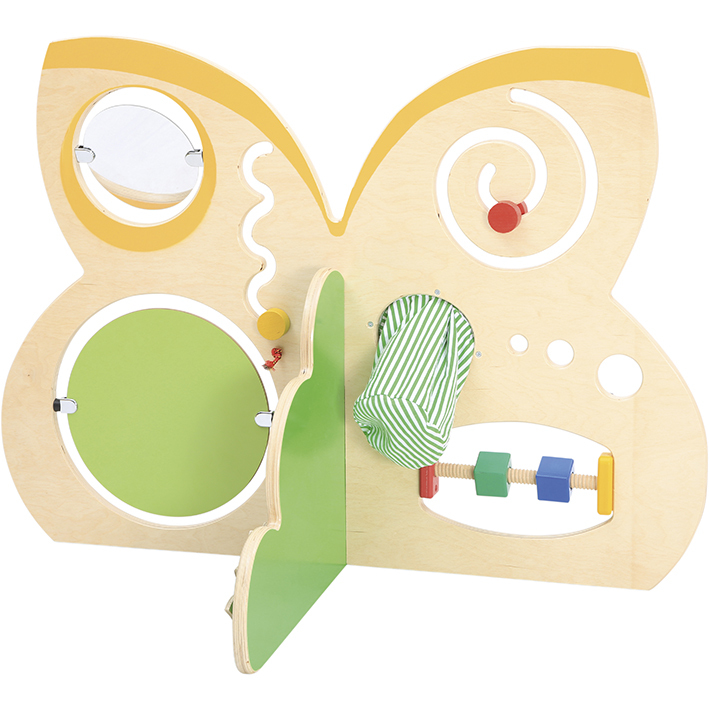 Wooden elements can be moved, shapes can be rotated, and a concealed ball can be moved around the track with a magnetic pencil. Children can also try to recognise shapes hidden in the pocket. 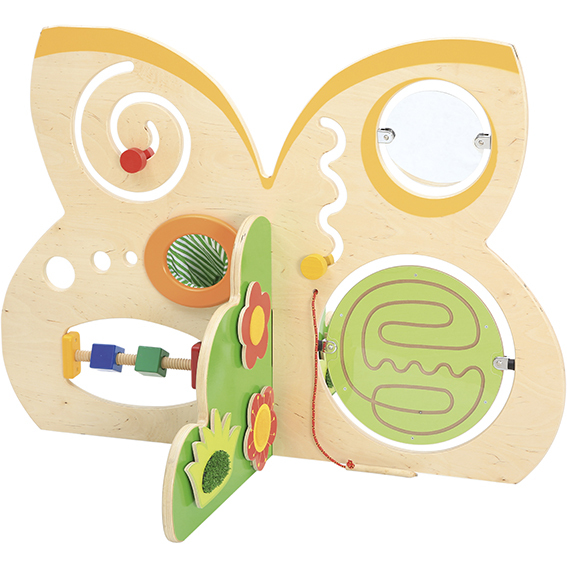 Includes 3 magnetic sensory elements (1x Small Grass, 2x Flowers) with different textures. Ages 2+.